Jan Ellison is a mother of four and a novelist, essayist and short-story writer. 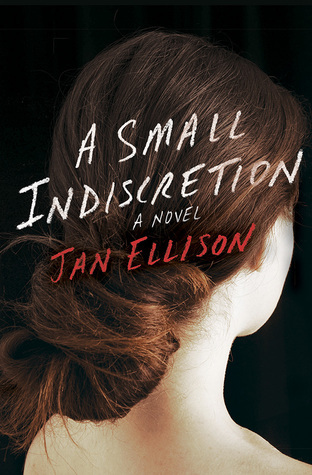 Her first book, A Small Indiscretion (Random House 2015) is a literary suspense novel about a harrowing coming-of-age, a marriage under siege, and a mother who must excavate the truth of her past. It was an Oprah Editor’s Pick and a San Francisco Chronicle Book Club Pick. Jan’s essays and stories have appeared in The New York Times, The Wall Street Journal, Narrative Magazine and elsewhere, and she received an O. Henry Prize for her first short story to appear in print. Jan is a graduate of Stanford and San Francisco State University, where she spent seven years earning an MFA when her children were small. Jan had a brief career at a Silicon Valley startup, marketing risk management software to derivatives traders. The company went public, Jan became a mother, and instead of leaning in she leaned out, became a stay-at-home mom, and began to write. Jan’s experiences living and traveling abroad after college continue to fuel much of her writing. She also left Stanford for a year at nineteen to live and work on a shoe-string in Paris and London. She took notes on yellow legal pads, and years later, those notes provided the inspiration for her first novel. Jan grew up in Los Angeles and lives in the San Francisco Bay Area with her husband of twenty years and their children.